The Internet is replete with spectacularly failed social networking sites, even the almighty Google isn't immune to this fate, as Google’s social networking track record to date is rife with failed attempts, with projects that never lived up to its potential, caused needless angst for its users, and never quite took off at all. 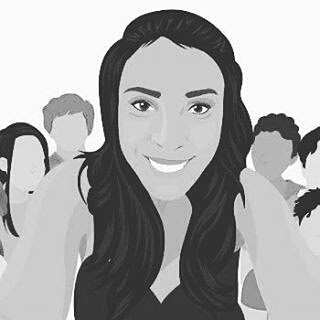 Linda Ikeji, arguably Nigeria's most popular blogger, recently launched an eponymous social network, Lindaikejisocial.com, albeit it mimics Facebook in some design aspect, the overall architecture is perhaps weak given the already plentiful complaints from early adopters. While almost every Facebook clones had been startlingly less successful, Linda Ikeji Social may perhaps break from the norm as it already has a cult-like following and ready-made contents from Linda Ikeji’s blog. Linda Ikeji's model as infused with contents from her blog, and also users can submit stories for a reward, may move beyond mere social networking site to a publishing platform. But, how does mere local following (from a country of a little over 160 Million population, with about 86,219,965 internet users) translate to social networking success, even when Google+ commanding something above 100 million members, is still trailing the line of failed social networks? Again, Lindaikejisocial.com isn't running on the best architecture and the technology team most probably picked up the source code from Github. As even response times for the social site are much slower than what's obtainable with modern networking sites, which puts a question mark on the host provider, whereby the likes of Facebook are self-hosted or running on own-server. Another interesting area is Social Networking security, how would the site handle online security challenges like: Self-XSS, clickjacking and survey scams which is even a major issue for established players like Facebook with huge security portfolio. The fact that Nigerians are taking it seriously rather than squawking and mocking, is perhaps a bit of a breakthrough, though. Failed Social Networks: How Linda Ikeji Social can avoid the impending fate?